Gymnasts must have exceptional lower and upper body power to even attempt to execute some of the most basic moves. 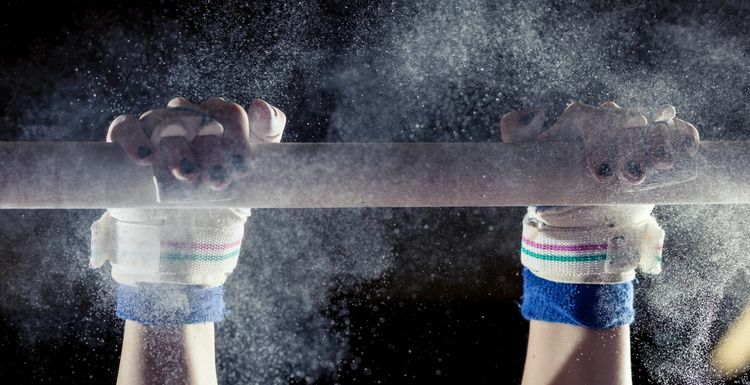 With gymnastics still coasting on its popularity after the Olympics, now is the perfect time to pick up the sport. Here are some of the advantages of taking up gymnastics the next time you are working out at the gym. We all want to be buff and strong. If gymnasts skipped out on the leotards and donned rugby attire you might see little difference between the two. Depending on the discipline at play, gymnasts need to be able to fully support their bodies with the mere assistance of a limb or two. Flinging your body into unnatural positions requires unnatural strength. As a gymnast you’ll have no choice but to cultivate the type of upper, lower and core body that you typically only see on the cover of inordinately high priced protein shakes. Twisting and flipping on the balance beam requires gymnasts to be incredibly lithe athletes. This may not seem like a big selling point, but being in-touch with your body will help mitigate back pain, injuries and overall aches. It also has the benefit of providing better circulation and range of motion. If nothing else, you’ll be able to kill it at Twister. Maybe you’re the person who still hugs the walls whenever the Macarena comes on in the bar. I’m not saying gymnastics will make you fall in love with the song, but now you can finally give in to the peer pressure and not feel awkward about swivelling your hips while shouting lyrics to a song that just about nobody understands. Finding your way up and down a balance beam sans tricks is tough enough. But when you’re capable of keeping your balance while incorporating leaps and tumbles, dancing to a cliché song should be as easy as doing the…. Macarena. Whenever you’re learning a new skill you’re forcing yourself to step outside comfort zone and putting your ego and body on the line. By overcoming the fear of failure, you learn how to be comfortable with taking new risks – if you can take up a new sport, why not start that novel you’ve been putting off or your first DIY project? Being acrobatic on the mat will have you tumbling towards new endeavours like never before. Some of the moves for men may be possible in adulthood - building upper body strength for the rings and possibly the pommel horse stuff. I certainly won't be taking up the somersaults which are dangerous even for those who start as children! Can adults take up gymnastics? I have never heard of this, or seen any gymnastics classes for adults. I must admit I would quite like to try, but think I'd damage myself nowadays.